I've added some materials to the assault mech mesh I've shown you guys a short while ago. 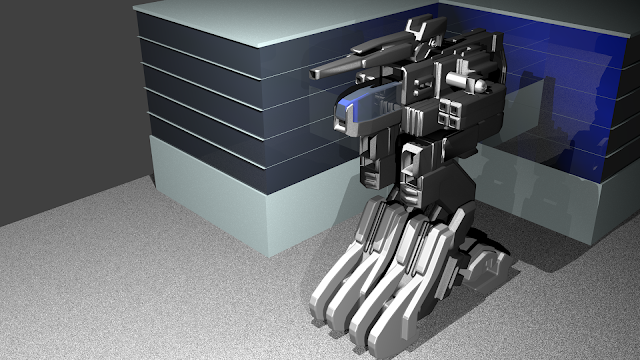 As you've probably noticed, I tried going for a touch of mechwarrior with this one. - Dorsal mounted medium particle accelerator cannon.